Away from the spotlight since the acclaimed album "Some Nights", the trio Fun decided to let fans aware what they are doing right now. In an official statement on the band's website, Nate, Jack and Andrew stated that they are devoting to their side projects and will not be separated, as had been speculated for some time. "First of all, the answer of the question that is being raised frequently: Fun. is not breaking up," says the beginning of the statement. "The Fun. Was founded by three of us. One thing that was always very particular on Fun. we do exist as individuals in music, who come together to work collaboratively. We do Fun. albums when we are super inspired to it." The statement follows detailing what each member is doing and thanking the fans who support them. "Currently, Nate is working on his solo album, Andrew is working on the movie track and Jack is on tour and working on Bleachers’ songs. The three of us follow our inspirations wherever they take us. Sometimes lead us to the Fun. sometimes for musical journeys away from Fun. We see this as part of the ecosystem that makes the Fun. 'fun', wrote the singer." "You (fans) are everything to us, really. We want to treat them with the respect they deserve and that means making music when we are completely ready for it and never deliver to you anything that is less than 100%. The 'Some Nights' was a successful album and would have been very easy for us we jump back in the studio and capitalize on the moment. But making records and touring when it is' good for business' means nothing to us. We do albums and tours when we are inspired to do so. That is why we have built such a special connection with all of you. This is how we can be more honest with the people who support our music." Finally, the band makes it clear that all three are involved and support mutually in every project they are involved. 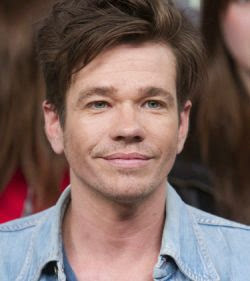 The message does not reveal details of when the solo project of Nate Ruess will be released.